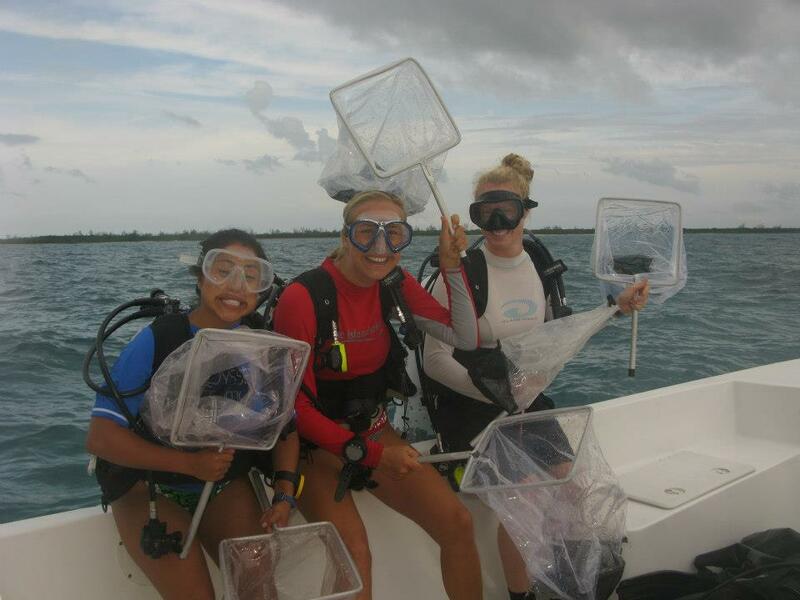 Like many programs at CEI, the Lionfish Research and Education Program is constantly occupied with fieldwork, data entry, the Island School research class, and miscellaneous other projects. With so little excess time, the program rarely has the chance to get involved with local communities. For this reason, I decided to focus my efforts on community outreach and education by creating lionfish signs for my independent project. Ideally posted in 19 locations across the island, I plan to have these signs posted at community gathering areas such as docks, marinas, and/or community centers. The signs offer information including history of the lionfish invasion in the western Atlantic, why they pose such concerning threats, and what people can do to help. The goals for this project are not only to increase awareness, but also to encourage local consumption of the tasty invasive. After visiting the Blue Ocean Film Festival as finalists in September, Ian Rossiter (Flats Team intern) and Brendan Talwar (Shark Team intern) submitted their film to the Festival Mondial de l’Image Sous Marine (World Festival of Underwater Images) in Marseilles, France. After a few weeks, they received an email announcing their first award, granted by the French Federation of Film and Video. With this exciting announcement came the news that winning films would be shown across the world at small film festivals everywhere. 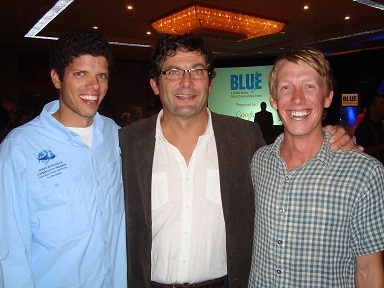 The first venue to showcase the winning films was the Miami Underwater Festival from November 30 to December 2, 2012, where the Story of Sharks was shown to young audiences at the Miami Science Museum. On the same weekend, the video was shown to the Bahamian Minister of the Environment at the Cape Eleuthera Institute/Island School Research Symposium. The next step is submission to a few more festivals around the Bahamas and United States before distribution online. (Photo of Brendan (L), Ian (R), and their mentor, Didier Noirot). This past Saturday, December 1st, marked CEI’s 28th Research Symposium. During the Symposium, Island School students got the chance to showcase the culmination of a semester’s worth of research to a large audience. 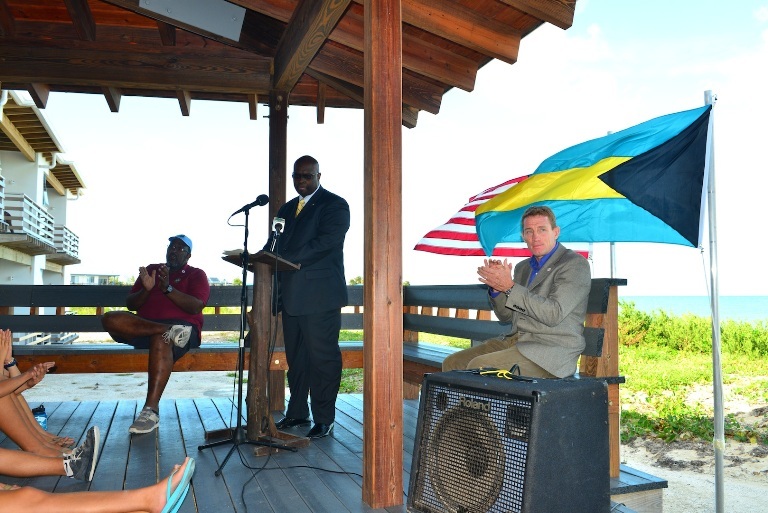 Visiting scientists, local community members, government officials, and representatives of Bahamian NGOs were all present for the event. 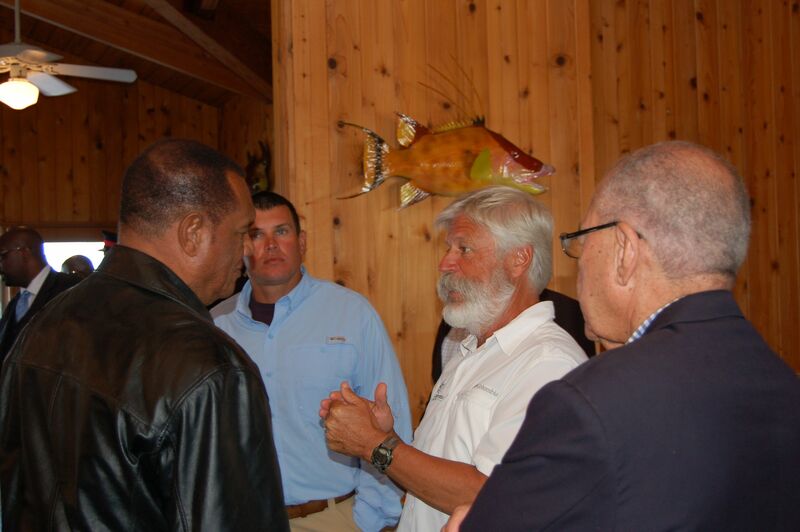 The list of guests included members of REEF, BREEF, Friends of the Environment, Community Conch, The Nature Conservancy, Bahamas National Trust (BNT), and Fisheries Conservation Foundation. We also had the Honorable Kendred Dorset, Minister of The Environment and Housing, as our keynote speaker! There were presentations on topics ranging from queen conch conservation and the lionfish invasion to the effects of climate change on bonefish and sea turtle habitat use. Students gave presentations, followed by poster sessions, where visitors had one on one time with the research groups to ask questions on the projects and their larger implications. 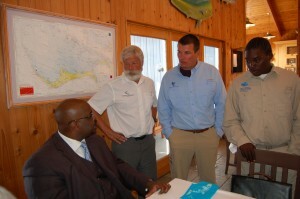 CEI researcher Aaron Shultz along with Fisheries Conservation Foundation chair Dave Philipp, Illinois Natural History Survey Fisheries Biologist Julie Claussen, and a young member of the CEI boathouse staff Mally Goodman, took a break from their bonefish tagging efforts to meet with the Prime Minister and the Environmental Ministry of the Bahamas at Deep Water Cay, Grand Bahama on Thursday. 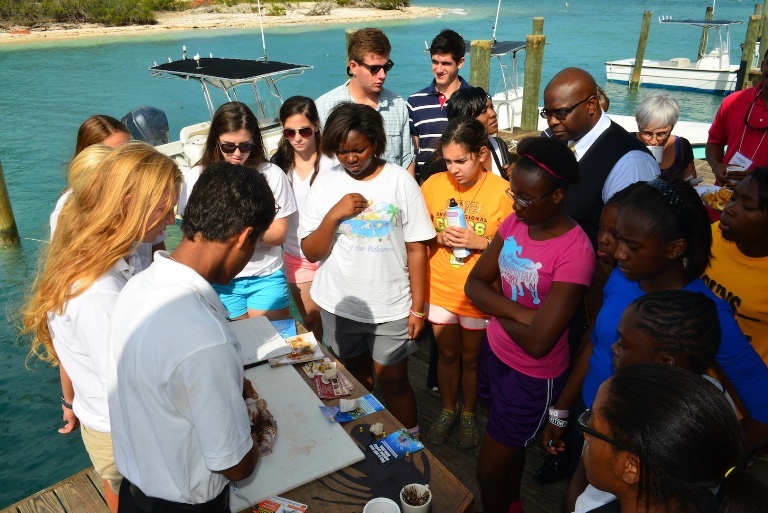 Aaron spoke to the group about conservation, and showed a slideshow on the research and tagging project currently being conducted on Abaco. Prime Minister Perry Christie talked pointedly on the importance of protecting the natural resources of the The Bahamas, as well as increasing research and education. Many officials from the Bahamian government and members of the press attended the event, serving as great exposure for the Cape Eleuthera Institute, The Island School, Fisheries Conservation Foundation and Bonefish Tarpon Trust. The word is spreading on some of the work that CEI researchers are doing, great work guys!